Basketball Registration is continuing for boys and girls ages 5-14 years old at Fannin County Rec Department. Registration closes October 20th. Effective Immediately- All upcoming sport programs will re-implement admission fees. There will be no increase on registration fees. Who Will Be Fannin’s Next Rec Director? 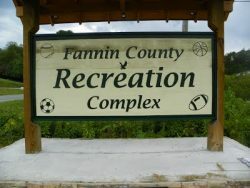 After the unsurprising resignation on Oct. 4th of John Scalera as Director of Fannin County Recreation Department, the county is on the hunt for a replacement. Currently, Fannin Recreation Department’s Eddie O’Neal is serving as interim director. 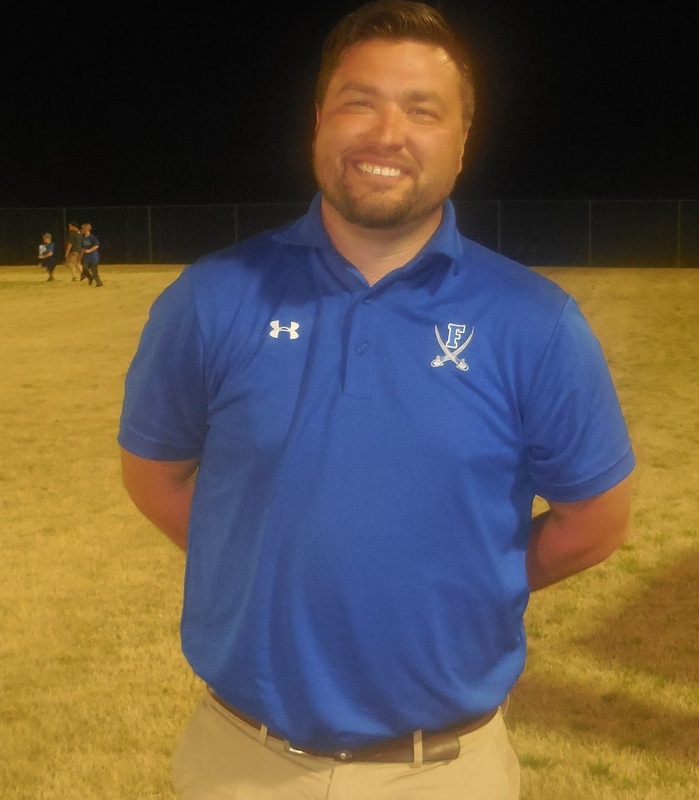 O’Neal is also the athletic director for Fannin County. County hiring practices have been at the center of two different heated exchanges from Post-Commissioners Johnson and Sosebee directed towards Simonds and County Clerk Rita Davis Kirby. At the Aug. 23rd meeting, Johnson and Sosebee made it extremely clear that Fannin County will not hire friends and family of current employees, especially when the two employees will be working in the same department ( see article). At the Sept. 13th meeting, Post-Commissioners Johnson and Sosebee chided Commission Chair Simonds on how he handled the hiring and then un-hiring of an Assistant County Finance Administrator. The assistant administrator, who Simonds gave authority to hire, is the wife of a Sheriff’s Office employee. Johnson and Sosebee explicitly said in the xxxxx meeting not to hire. They did not want two people overseeing Fannin’s finances who have close family ties in the Sheriff’s Department (Rita Davis Kirby is wife of Fannin County Sheriff Dane Kirby). Johnson and Sosebee also stated that this is no disrespect to the Kirby’s or the Sheriff’s Office, simply Johnson and Sosebee wanted to transparently avoid any suggestions of improper financial oversight (see article). County hiring practices were at the center of Johnson and Sosebee’s lawsuit against Commission Chair Bill Simonds. As a result of the lawsuit, the county charter changed so that the entire Board of Commissioners has the exclusive power and authority to appoint and remove department heads. Previously, the Commission Chair could hire and fire without bringing the decision before the Board. At the Oct. 11th Board of Commissioners meeting, 7 days after Scalera resigned, the Board of Commissioners did not publicly state the hiring process for the new Rec Director. After the meeting, FetchYourNews asked Sosebee where they planned to advertise for the next Rec Director. Sosebee said “in the newspaper and on-line.” FetchYourNews asked him if the job opening is already advertised, Sosebee said that Davis Kirby would know that. Simonds refused to answer the questions when FetchYourNews asked him earlier by email and at the Oct. 11th County Commissioners meeting. Both Road and Rec Departments received verbal reprimands from the Board of Commissioners at their meeting on Tuesday, August 23rd. Charles Collins, Fannin County Road Superintendent, did not show up to deliver his Department Head report to the Commissioners. Nor did any other representative show up to speak. The Road Department has not given a public report for the past couple of meetings. Post-Commissioner Larry Joe Sosebee called Mr. Collins over the weekend to remind him to give his Department Head report at the meeting. Mr. Sosebee told attendees that the Road Department needs to explain what is going on where in the county so that residents can adjust accordingly. Post-Commissioner Earl Johnson took the opportunity to rail against the Road Department’s neglect to follow Commissioners’ guidelines. Mr. Johnson said that the other departments show up at every meeting and those department heads are no less busy than the Road Department. He went on to say, “The road department seems to think that they can do whatever they want to do. Sometime this has got to stop.” Mr. Johnson was also referring to the Road Department employees’ use of vacation time to increase their weekly work hours in order to receive overtime pay. During Fannin County Recreation Department Director John Scalera’s report, the Commissioners gave the first indication of their displeasure with Mr. Scalera. Post-Commissioner Johnson told Mr. Scalera to not develop any more new programs for the department until the current ones are going in the right direction. “I want to protect the programs we already have,” said Mr. Johnson. Next, Post-Commissioner Sosebee lectured Mr. Scalera about leaving grounds-keeping machines in places easily accessible to young children and others. Earlier in the year, some machines were vandalized, costing the county thousands of dollars. During Public Commentary, two Fannin residents expressed displeasure with how Mr. Scalera has handled the travelling soccer teams. Both residents represented parents and players on the team. The mother of a player said that the teams tried to resolve issues with the Rec Department before bringing these to the Commissioners. However, with the onset of fall soccer season and the problems that occurred during the spring season, she felt compelled to speak. In spring, the travelling team almost forfeited two games because the Rec Department hadn’t prepared the fields for the tournament. Also, the Rec Department isn’t providing enough field space for the team to practice. She wants the Commissioners to hold the Rec Department accountable for having fields ready for tournaments. Commission Chair Bill Simonds asked her to send the home schedule to the Commissioners so they can ensure there is not a problem. In good news, everyone there learned about the success of the youth travelling soccer team. The team was promoted from Classic IV to Classic V status because of their undefeated season. Also, the team is competently beating Atlanta travelling teams whose members have to pay upwards of $1,000 to join. Registration for Fannin’s travelling team is only $65, the same amount as for every county sports program. She added that the travelling team has contributed to the success of FCHS and FCMS teams. Each one went to championships this year. Several kids from the travelling team have gone to college on full athletic scholarships because of their soccer ability. Andy Jones, one of the coaches for the team, also spoke about problems with the Rec Department. Mr. Jones and several other parents had to line the field and move the goals for the first game of spring season because the Rec Department had not done what it said it would do. Mr. Jones also said that the Rec Department had not provided the uniforms before the start of the season. “What is the $65 fee going for if not for uniforms,” asked Mr. Jones. Mr. Simonds said that he hated to hear what is going on and we will look into it. Mr. Sosebee said that we will start tonight. After the meeting, the Commissioners went into Executive Session to discuss personnel and real estate. Mr. Scalera was called into the meeting as well. After 30 minutes, the Commissioners returned and said that no action was taken in Executive Session. Last week was the first-ever Fannin Fishing Camp sponsored by the Fannin County Recreation Department. 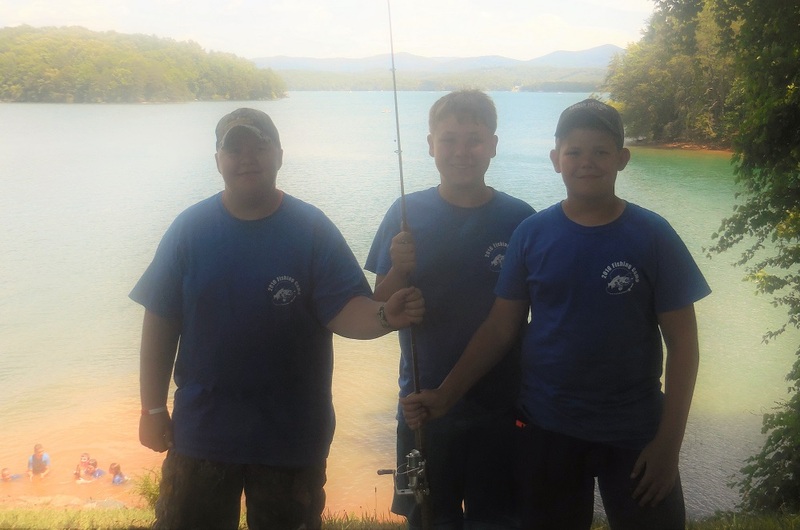 17 children ages 7-11 participated in a week-long camp learning how to tie hooks, cast, and the location of sweet fishing spots around Fannin County. The last day of camp, campers fried up their week’s catch and took a dip in Lake Blue Ridge. According to Evan, counselor-in-training, from Hemptown here are how the fishing spots that the campers went to stacked up. Evan admits that the hefty haul from Rock Creek was helped by the 200 lbs of trout that the Fish Hatchery released up from the creek a few days before the fishing camp went to the creek. John Scalera, Director of Fannin County’s Recreation Department, set up the Fishing Camp based on his experience working with the Fishing Camp that Cherokee County Recreation Department set up. The first year Cherokee County only had 15 kids, now the fishing camp fills up within thirty minutes of opening registration. Next year, Mr. Scalera hopes to have two camps sessions with 25 campers in each session. Jared from Mineral Bluff hopes the next Fishing Camp will be two weeks instead of one. “It was awesome!” he says. Next Article » Does Islamophobia Mean Self-Defense? 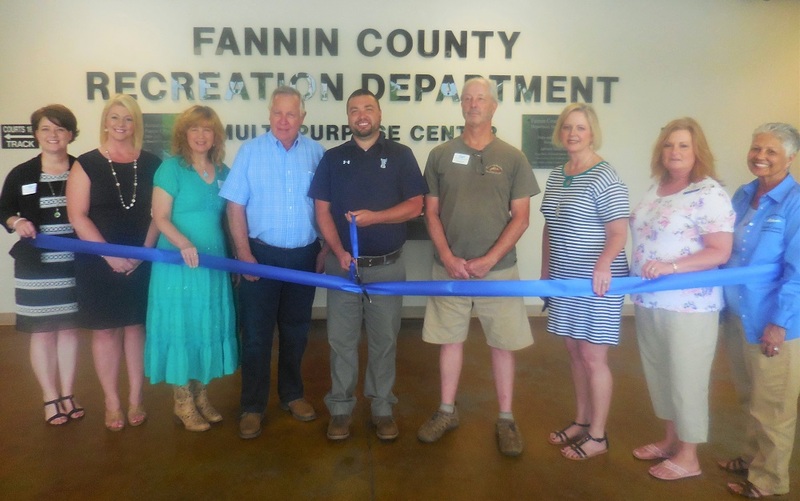 “We’re not the one-dimensional rec department,” says John Scalera, Director of Fannin County Recreation Department when describing his vision for the Recreation Department. Mr. Scalera took over leadership of the Recreation Department in October 2015. Mr. Scalera has set up two new camps for Fannin youth this summer – Fishing Camp and Waterlogged Camp. This year, each camp is only offered one time. If all goes well, Mr. Scalera hopes to have more than one session in the upcoming years. Fishing Camp is for ages 8-14 and will take place June 13-17. The cost is $75. At this camp, would-be fishermen will learn more than just putting bait on hooks. They will learn about fishing in different Fannin county waterways, fishing techniques for different kinds of fish and how to treat fish from catching to eating. Campers will visit the fish hatchery in Suches, Horseshoe Bend and Tammen Parks as well as fishing in the pond and creek on the Recreation Complex Land. Campers top off their fishing knowledge with a fish-fry. Waterlogged Camp is the other new camp for this summer. The camp is for 8-14 year olds and will take place June 27 to July 1. The cost is $100 . Campers will visit types of water recreation facilities like the Cherokee Aquatic Center, Lake Winey in Chattanooga, Toccoa Family Campground, and go to Helen for tubing. Teaching swimming is not the purpose of the camp, learning new ways to enjoy water is the purpose. Mr. Scalera says that campers should come with some knowledge of swimming, but don’t they don’t have to worry if they are beginner swimmers since the activities are not about learning to swim but about enjoying different types of water activities. In addition to the new camps, the Recreation Department will also hold their traditional one-week sport specific camps. This summer the camps are soccer, baseball and basketball. Parents can call the Rec Department at 706-946-1130 for more information. Neither Waterlogged Camp or Fishing Camp currently offers scholarships. However, the Fannin County Recreation Department does offer scholarships for its youth athletic programs. Another multi-dimensional project the Recreation Department is pursuing boat ramps for the Toccoa River. The Recreation Department is working on along with Fannin County Land Development Authority and TVA. The proposed boat ramps would be at Tammen Park, Curtis Switch and potentially Horseshoe Bend. The ramps would be for kayaks and drift boats. TVA would be installing the ramps and Fannin County would be responsible for their upkeep. An encouraging sign for the future success of the ramps is that TVA is donating $15,000 worth of animal-proof trash cans to the Recreation Department to place in parks alongside the Toccoa. Fannin County is awaiting the results of the Georgia Bureau of Investigation’s inquiry into former Fannin County Recreation Director Bernie Hodskin’s misappropriation of funds during his time as Recreation Department Director. The county is expecting the results of the GBI investigation any time now. 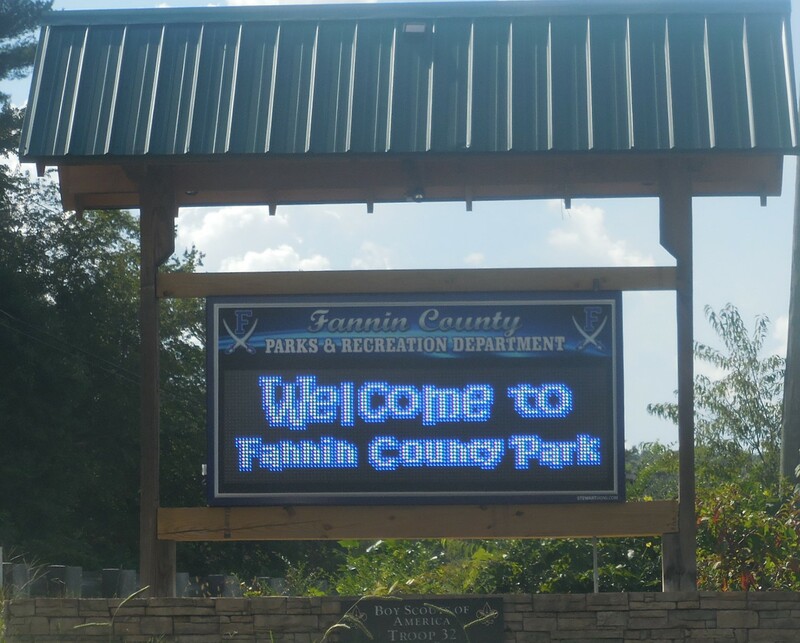 Last June, Fannin County’s District Attorney prepared a forensic audit about the Fannin County Recreation Department by reviewing one year’s worth of finances. The forensic audit was to see if further action against Mr. Hodskins was warranted. The audit showed that there was mismanagement of funds and that there needed to be a full investigation against Mr. Hodskins. At that time, Fannin County had a choice to turn the information over to the GBI for the GBI to conduct an investigation or for Fannin County to conduct the investigation on its own. According to Fannin County Clerk Rita Kirby, the county decided to go with a GBI forensic audit and investigation, even though it would take longer to get the results. If the county conducted the investigation against Mr. Hodskins itself, it would have cost thousands of dollars. If the GBI handled the investigation, the county would not incur any cost. The drawback, according to Ms. Kirby is that the GBI investigation takes longer. In June 2015, the GBI told the county the investigation needed six to nine months. According to Ms. Kirby, as of last week, the GBI has not sent the county further information. The three through six crowd in their first youth soccer scrimmage. Friday March 18, the hottest ticket in town for the 12 and under crowd was the 1st Annual Spring Fling sponsored by the Fannin County Recreation Department. 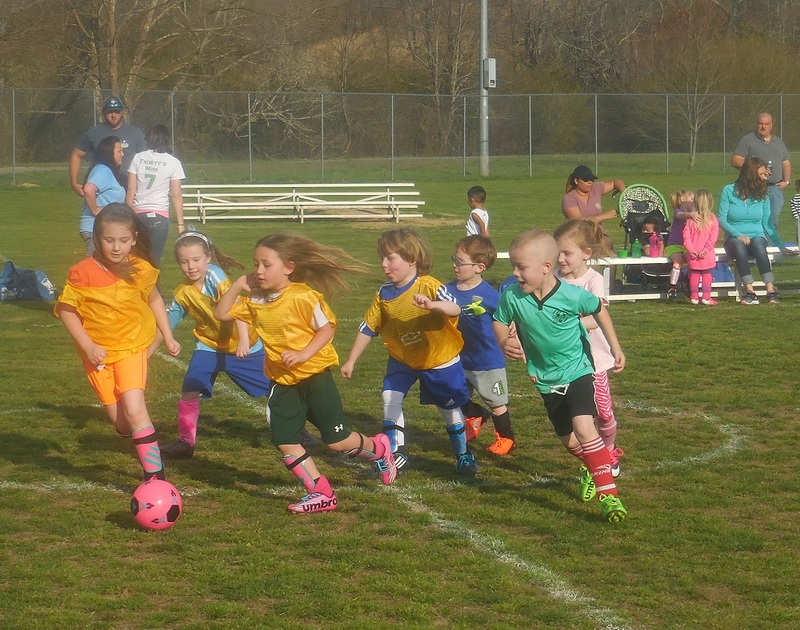 Spring Fling 2016 kicked off the busiest sport season of the year for the Recreation Department, which hosts soccer, softball and baseball during the spring. The evening featured scrimmages between different teams all the way from ages 3-6 soccer and t-ball to 12 year old softball and baseball. Between scrimmages, kids swarmed, rolled, scrambled, scaled, crawled and tumbled their way through bounce houses. The evening closed with a parade of athletes and fireworks. 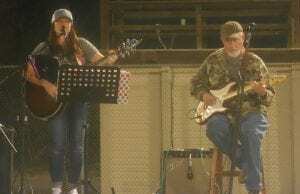 Shannon York, a local singer, played music for the event. Fannin County Recreation Department Director, John Scalera wanted there to be something for everyone from the kids scrimmaging to their siblings accompanying them to their parents looking for a laid-back Friday night when they could listen to live music without having to hire a babysitter. Mr. Scalera decided to create the event, the first of its kind, to build community within the parents. Indeed, when FetchYourNews.com asked various parents what they liked about the event, they said they enjoyed the sense of community. Mary Beth Deal said that her kids were really enjoying it and is glad that a community event like this exists. According to FetchYourNews.com pup reporter Joseph, on Friday pre-K was abuzz with talks of meeting up with each other to tumble their ways through bouncy houses and seeing the cool fireworks at night. After the evening he said that it was the greatest party ever with cool things like bouncy houses and fireworks. Mary Beth Deal and daughter Sadie. Other community organizations helped out at the event. Kim Cheeves, Children’s Director at The Ridge Community Church. She says, “We are always about serving the community and the kids. 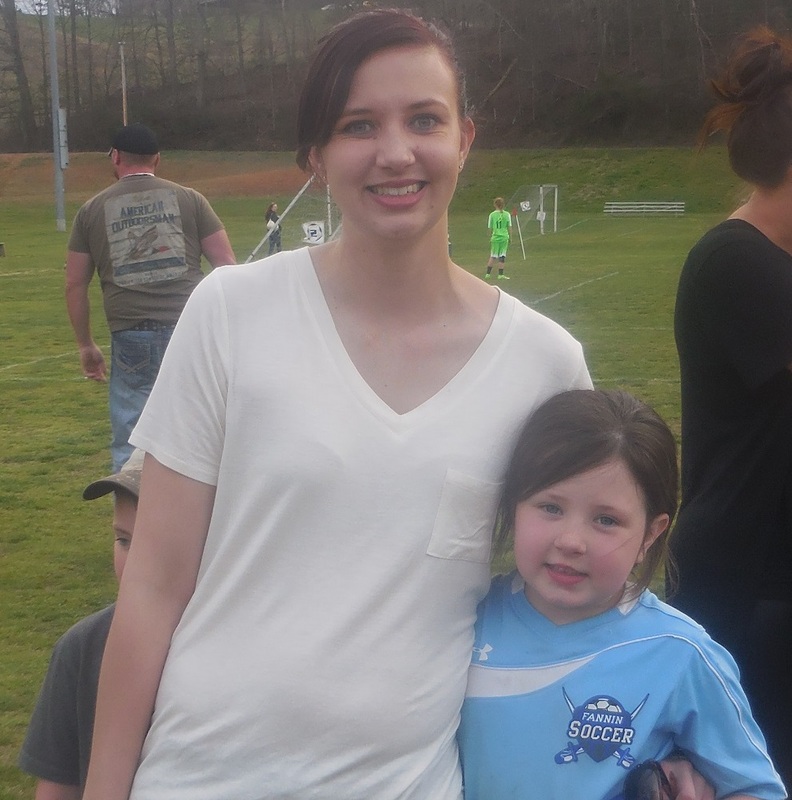 We want them to know that just because you grow up, you are not outside our circle of influence.” Erin Golden, who palys soccer and accompanied her mom and grandmother to the event thinks the Spring Fling is a great idea because it is getting the community together and excited about the season. Kim Cheeves paints Eva McNelley’s face. Gina, Jordan and Erin Golden of Toccoa Valley Campground. It seems that the only ones who didn’t enjoy the Spring Fling was some horses corralled nearby. They broke out of their fence and escaped when the fireworks started. The horses returned home later. Younger teams watch the older kids in the parade. Girls’ soccer to the field during the teams parade.